Silver, bronze, copper, & brass jewellery with semi-precious stones, featuring imagery from the natural world. Jewellery with panache! 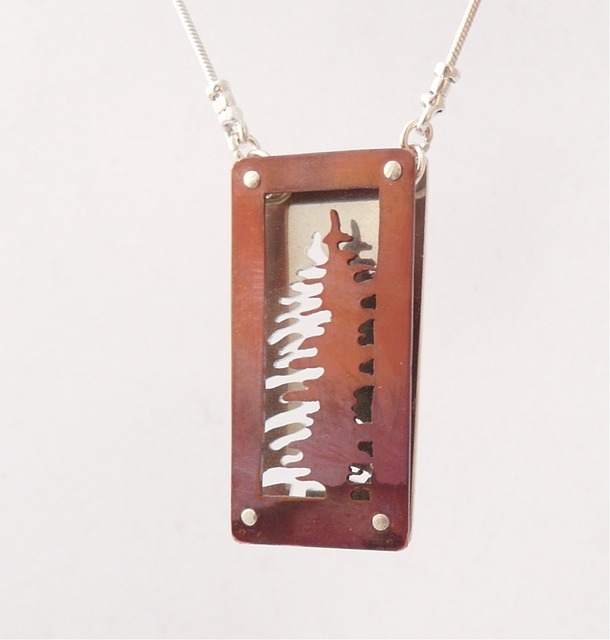 “Tree Shadowbox” necklace, pierced, riveted, and heat-coloured, sterling silver and copper, .75” x 1.75”, 18” chain, 2012. Sold.